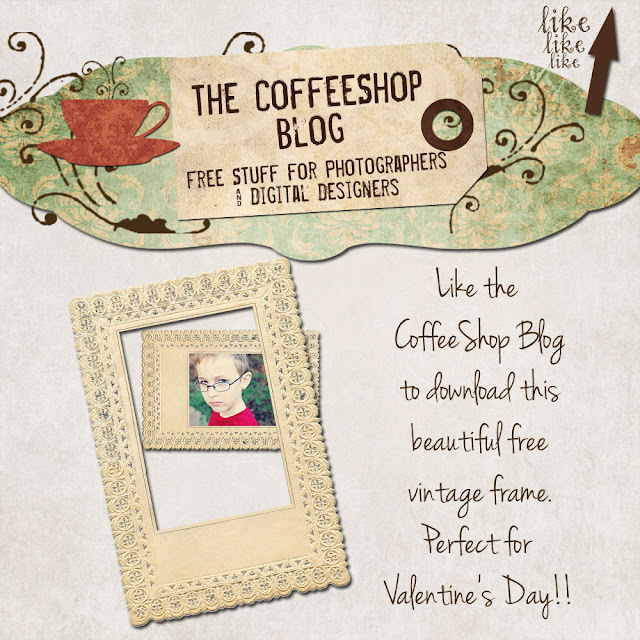 The CoffeeShop Blog: New Valentine Facebook Fan Freebie! New Valentine Facebook Fan Freebie! Hope everyone is having a great weekend. Our weekend starts tonight since my husband has off Sunday and Monday. He worked seven days a week for years, then six, and then finally six months ago he decided to take off two days in a row and only work five days a week. It is so wonderful for our family since we can now take little overnight trips whenever we want. Not to mention the boys get to spend so much more time with their father. I love that my husband realizes that money is not everything. I wish I had remembered to link this last month, but there are some beautiful freebies over at Chasing Dreams Facebook Fan Page. Some are for Christmas, but others can be used year round. Please go check them out! Colleen is such a sweet person and a talented designer. I have some really neat stuff coming out next week, so hopefully I will see you here!